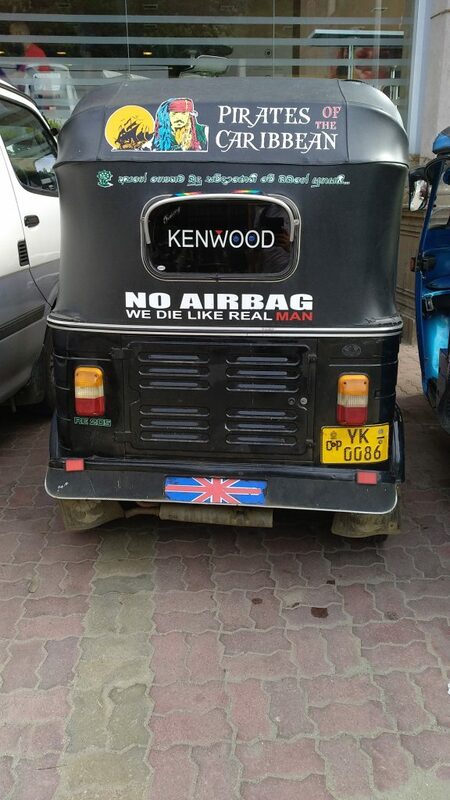 The buses in Kandy are without air conditioning and without doors, but with a long cord, hanged on the ceiling. If you want the driver to stop, you just pull the cord down and hear “ding”. 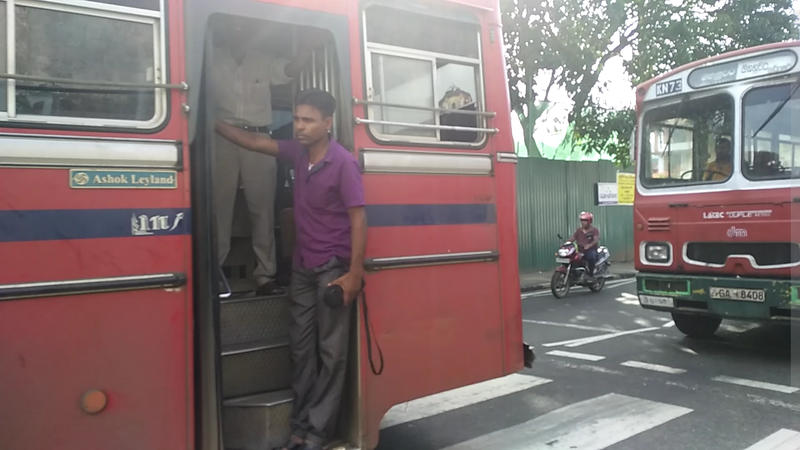 People are getting in and out of the bus without waiting for the full stop. There is always a conductor standing in one of the two opened doors. 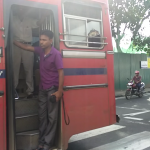 He walks back and forth on the bus, taking 15 rupees from the people. In the majority of the cases, there are no tickets. The conductor remembers who already paid and who is new. All drivers are using the car horn non-stop, signaling multiple meanings. I recognized “beware”, “hi”, “move faster”, “your bus has arrived, you better speed up”, “due to the turn you can’t see me, but I’m coming”. 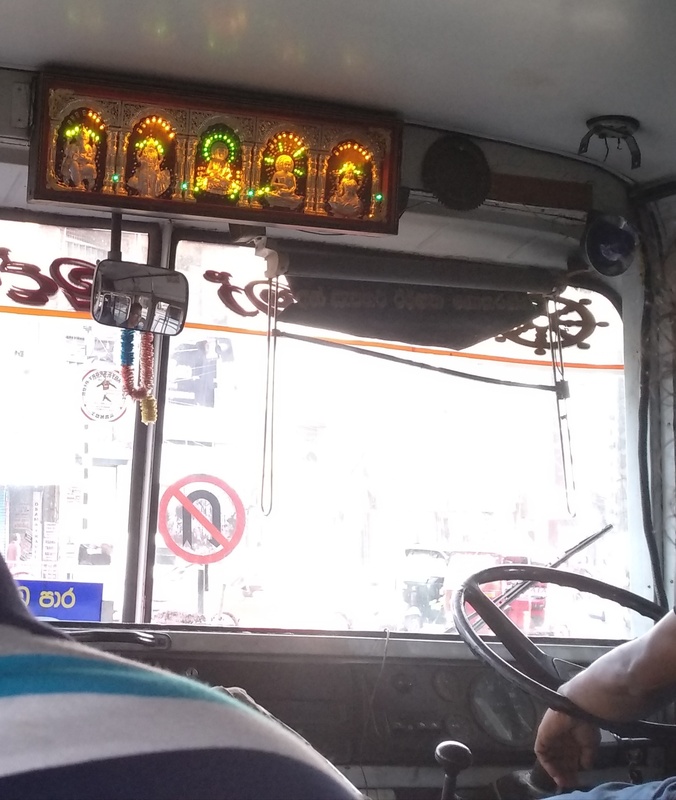 In Sri Lanka, mostly Buddhist country, the buses are decorated with small Buddhas statues and flashing Buddhas.